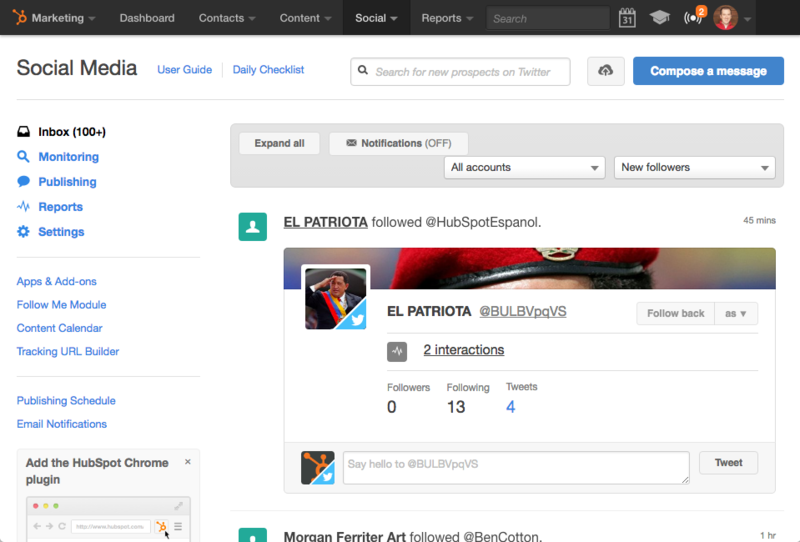 Social media publishing, monitoring, and reporting all in one place. Streamline social media & prove ROI. 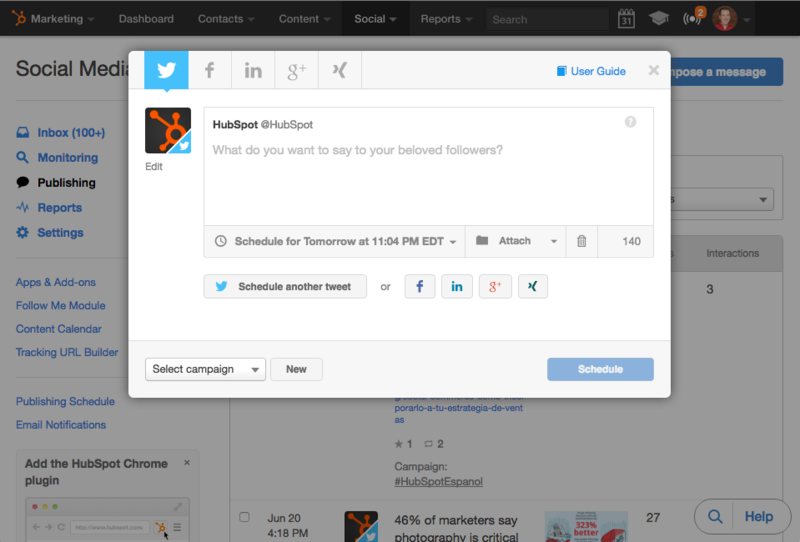 With HubSpot's all-in-one marketing software, social media marketing is easy and integrated. Manage all your accounts in one place, and tie your social media campaigns to the bottom line. Publish to multiple social networks from one interface. Easily schedule and publish content to the Facebook, Twitter, and LinkedIn with just one click. Get suggestions for the best times to post content so you can maximize social media engagement. Make social media actionable for your team. HubSpot links your social media interactions to real people in your contacts database, providing you with the context you need to have more meaningful conversations. 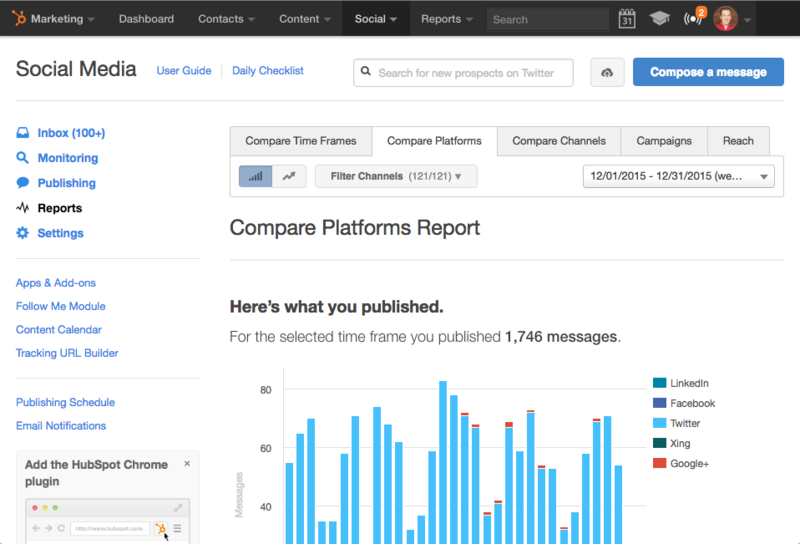 Track and report on social media ROI. Compare the performance of each social channel and tie it to your business' bottom line so you can focus your time and efforts on the social networks that matter.